Select Your profession below for additional details about your unlimited CE Subscription! 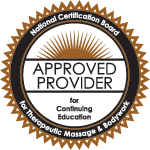 You need CEUs now, and we've got what you want! Sign up for your Unlimited CEU Subscription now and get a year's worth of unlimited CEUs! Hundreds of hours of CEUs available now, with a rapidly developing library. Sign up for your Unlimited CEU Subscription now and get access to unlimited CEUs for an entire year! Why HomeCEU for Your Unlimited CEUs? Flexibility to complete CEUs at home, either live or on-demand! No more boring voice-over-powerpoint style presentations either! Education to Meet Your Needs! We develop ~300 new hours per year, meaning you'll have lots of up-to-date content choices to meet your needs and requirements! Sign up today for access to unlimited continuing education!